A young gun who came to the attention of Wales fans when he was named in the U-21 squad last season, making his debut for the team during the games in Georgia. Progressing from the Derby youth team to earn a fulltime contract, he has played regularly for the club�s U-23 side which he now captains. A number of impressive displays at the developmental level last season saw his name mentioned on occasion as a possible candidate for first team duty, but as yet that call has not materialized. An attacking midfielder with the added bonus of finding the back of the net with some regularity, he will certainly hope that association with the new Rams manager will be helpful in furthering his career. A penchant for scoring some spectacular goals, he has already been credited with one such feat this season, makes it a commonality between the two to some proportion. Frank Lampard had a long and distinguished career, he is as fine an example as anyone for Alex to try and model his future upon, anything approaching such level of play would greatly excite the fans. A wing back not only always eager to go forward but also aware to make sure he returns to defensive duties when the opposition threatens, Cameron�s name is one that fans of Wales and those of the capital city club have had an awareness of for some time. He has represented the nation at all stages from schoolboy up to U-21, playing regularly for each of the sides at the pertinent time. In his second season as a member of the Cardiff U-23 squad, he is I am sure anxious to find a means of gaining enough attention to get consideration for first team involvement. Playing in a Premier League team is the aim of all footballers, doing so for one�s home club is probably even more special for a player. It not only takes an obvious amount of talent but also a determined and dedicated effort to continually find a means of improvement in skills to reach the required quality of play. Cameron will certainly have an awareness of the ability of the players selected for first team duty and hopefully he can continue on a path that sees him attain the goal. Another of the players Swansea have nurtured from a young age as they have developed an ever improving academy system as a means of producing players who can be contributors in a successful first team environment for the club. Aaron will certainly be aiming to emulate those who have successfully transitioned in such manner and be a part of the team whose aim will be to regain their recently lost status of Premier League membership. An all action player who combats offensive opponents and assists in attacking forays in his wing back role, one that does not shirk from building a high amount of distance traversed when playing in a match. There has been some mention of an interest paid in him by other clubs and it may well be of benefit to both himself and Swansea if there was a proposal for him to be loaned out to gain first team experience which would be additive to that he is exposed to playing in U-23 competition. In his second season as a scholar at Old Trafford, Dylan may well get some exposure to the demands of U-23 football in the months ahead. As he did at times in the last one, he is getting praise for his displays with the U-18 team this season. Much of the emphasis is about his passing skills and his ability not only to do so accurately but also in a penetrative manner which gives his offensive colleagues advantageous opportunities. From the observers who can refer to earlier years of watching the performers at The Theatre of Dreams comes a comparison of skills with those from previous eras and Dylan�s is often referenced to Paul Scholes when done to give a measure of what they witness. Having seen a small amount of video footage with highlights of the talent he possesses, I can certainly agree with the pertinency of the comments and if he can continue on a path to achieve any resemblance of the successful career accredited to �Ginger Prince�, Wales fans can look forward to a treat when watching. 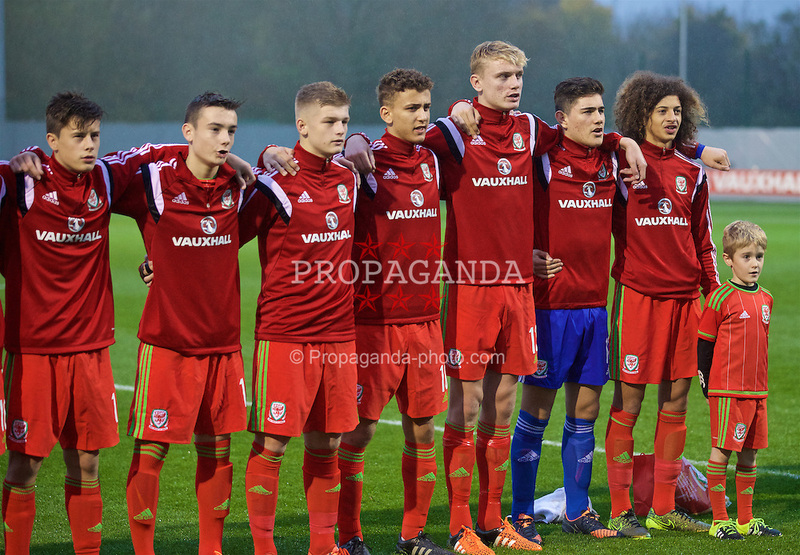 Dylan is at present a member of the Wales U-19 squad, having previously represented his country in the earlier age groups. It is expected for him to be a strong challenger for inclusion in the U-21 squad next season and all being well, at some point later will come the chance to earn senior representative honours. There can be little doubt as to how the coaching staff perceive what may lay ahead in footballing terms for Neco as they challenge him to perform in matches that pose a sterner test of his skills than is done for most of those in his equivalent age group. Starting last season in the U-18 team as he began his fulltime scholar tenure at the club, he was also inserted in the Liverpool U-23 team for quite a few games. This season looks to continue in similar fashion with him already having an appearance in a Premier League 2 game to his credit. It is a pace that suggests consideration for first team selection whilst still in his teenage years could well be a future achievement for him. Not only does such a scenario provide a sign of the confidence exhibited in his inherent ability but also the possession of a capability of pitting wits against opponents with greater physical maturity as well as a higher level of experience in pressure circumstances. Just to reach a conclusion that there is a possibility of these happenings is an acknowledgement of a special talent as well as dedication and determination to persevere in improving the skill set over time. These traits along with a focus of ambition will be tested as various obstacles will have almost inevitably need overcoming to reach the projected summit that Neco�s career may reach.